Nvidia embracing FreeSync is the first big shock at CES 2019. Gordon sits down with Matt Wuebbling, Kaustubh Sanghani, and Vijay Sharma from Nvidia to talk about the major announcements from CES 2019. Nvidia didn’t pull any punches during its big CES 2019 keynote on Sunday night. The company doubled-down on its hybrid ray tracing push by introducing the GeForce RTX 2060 as well as laptop versions of its RTX graphics cards. And then hell froze over. In an unexpected move, Nvidia also announced that its GeForce GPUs will support some AMD FreeSync monitors. The company said no fewer than 40 laptops are already lined up to feature laptop versions of the GeForce RTX 2080, the GeForce RTX 2070, and the GeForce RTX 2060. Energy-efficient Max-Q versions of each GPU were also announced. The new GPUs are, for the most part, the equal of their desktop GPUs in core count and features, but have lower clockspeeds and power consumption. In fact, Nvidia officials say the RTX laptop GPUs are up to 40 percent more efficient than equal Pascal-based laptop GPUs. Performance of the RTX laptop GPUs should be decent as well, the company said. 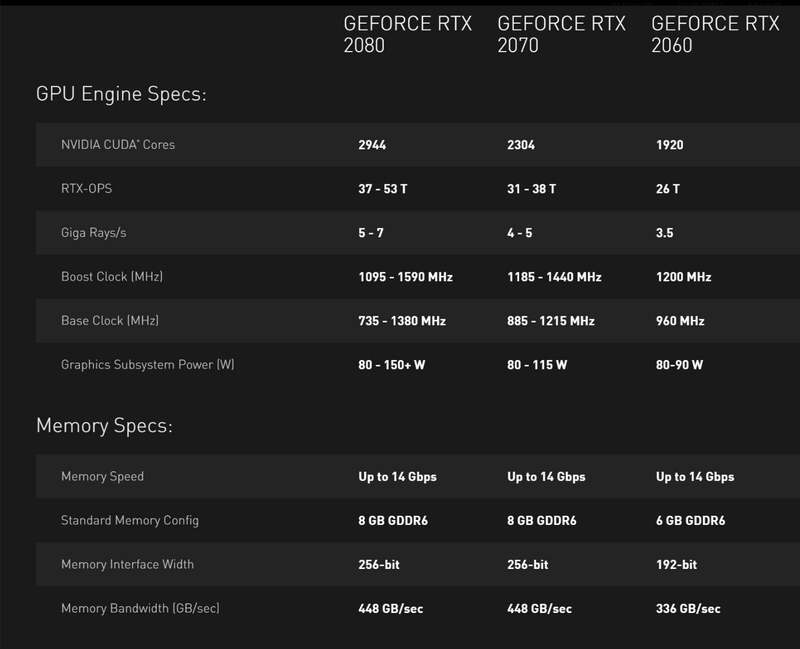 The top-end GeForce RTX 2080 will outperform a desktop GeForce GTX 1080 card. 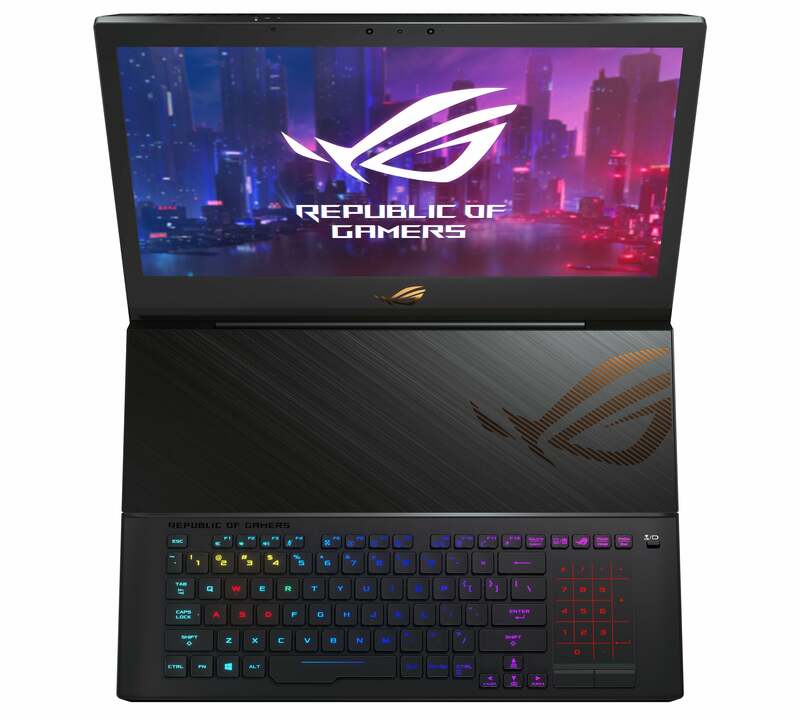 Nvdia’s new GeForce RTX laptop GPUs are the equals of their desktop counterparts in core and memory but features lower clock speeds. The performance and efficiency should also translate into faster and thinner laptops too. For example, Nvidia said the updated MSI GS65 will be able to run a GeForce RTX 2080 Max-Q, while it previously topped out on a GeForce GTX 1070 Max-Q GPU. Nvidia officials didn’t disclose how much the new RTX GPUs will increase the price of gaming laptops, instead referring questions to each manufacturer since the GPU is only one component of a laptop’s overall cost. One PC laptop vendor PCWorld spoke with said that although there is a price increase, it’s not drastic. Laptops featuring GeForce RTX are expected at the end of the month. The Asus Mothership will feature Nvidia’s new RTX 2080 inside. In a more shocking move, Nvidia also announced that it will soon support VESA’s Adaptive Sync standard—the backbone of AMD’s FreeSync display technology—on GeForce cards. Until now, GeForce graphics cards have only worked with Nvidia’s own G-Sync variable refresh-based monitors, which tend to command a hefty price premium compared to FreeSync displays. But starting with a new driver, variable refresh rates will automatically be supported in FreeSync monitors that Nvidia certifies as being “G-Sync compatible.” Nvidia said that of the 400 Adaptive Sync monitors it tested, only a dozen or so will have the featured turned on by default, as you can see in the slide below. If your FreeSync monitor isn’t certified, you can still manually enable support using the Nvidia Control Panel, but Nvidia says you may experience blanking and other display issues. Nvidia’s move could be seen as a burn on FreeSync since only 12 of 400 monitors are up to its standards, but this is a good thing for gamers. GeForce owners are no longer tied to pricey G-Sync monitors if they want to bask in the buttery tearing-free smoothness of variable refresh rate technology, and owners of FreeSync displays are no longer bound to Radeon GPUs alone. Nvidia said it has identified only 12 Adaptive-Sync monitors that it will support in its driver automatically.